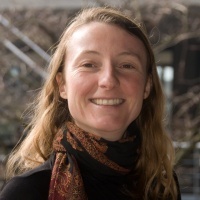 Dr. Diane de Zélicourt is currently a Oberassistent in the Interface Group at the Institute of Physiology in University of Zurich. Her primary research focus is on experimental and computational methods in biomechanics, and their application to understand disease mechanisms and improve device designs/surgical procedures. She holds an engineering degree from the Ecole Polytechnique (Palaiseau, France), one of the leading French institutes in engineering, which she followed by a specialization in bioengineering at the Georgia Institute of Technology (Atlanta, GA, USA). She completed her Master’s and doctoral thesis work at the latter institution under the co-supervision of Prof. Dr. Ajit Yoganathan and Prof. Dr. Fotis Sotiropoulos. Both theses focused on congenital heart defects, and the establishment of a simulation-driven surgical planning framework to help plan and optimize surgical repairs. Her post-doctoral research now concentrates on the dynamics of the different fluid compartments of the central nervous system, their interplay and role in the maintenance of brain homeostasis. Numerical simulations and biological cell experiments are used in parallel to elucidate the interplay between mechanical stimuli and dynamic cell responses. 2014: Marie Heim Vögtlin Grant. Understanding cerebrospinal fluid dynamics in the optic nerve subarachnoid space. 2011: Marie Curie International Incoming Fellowship (PIIF-GA-2010-275823). DINUMA: Development of an integrated numerical model of the intra-cranial space for clinical application. de Zélicourt, D , and Kurtcuoglu, V, Patient-Specific Surgical Planning, Where Do We Stand? The Example of the Fontan Procedure. Ann Biomed Eng, 2015. Siyahhan, B, Knobloch, V, de Zélicourt, D, Asgari, M, Schmid Daners, M, Poulikakos, D, and Kurtcuoglu V., Flow induced by ependymal cilia dominates near-wall cerebrospinal fluid dynamics in the lateral ventricles. J R Soc Interface, 2014. 11(94):20131189. Haggerty, C. M, Restrepo, M, Tang, E, de Zélicourt, D, Sundareswaran, K. S, Mirabella, L, Bethel, J, Whitehead, K. K, Fogel, M. A, Yoganathan, A. P, Fontan hemodynamics from 100 patient-specific cardiac magnetic resonance studies: A computational fluid dynamics analysis, The Journal of Thoracic and Cardiovascular Surgery, Volume 148, Issue 4, 2014, 1481-1489. Bottan, S, Schmid Daners, M, de Zélicourt, D, Fellner, N, Poulikakos, D, Kurtcuoglu, V, Assessment of Intracranial Dynamics in Hydrocephalus: Viscoelasticity Affects the Outcome of Infusion Tests. J Neurosurg, 2013. Article in press. de Zélicourt, D, Jung, P, Horner, M, Pekkan, K, Kanter, K.R, and Yoganathan, A.P, Cannulation strategy for aortic arch reconstruction using deep hypothermic circulatory arrest. Ann Thorac Surg, 2012. 94(2): 614-620.
de Zélicourt, D, Haggerty, C, Sundareswaran, K.S, Whited, B, Rossignac, J.R, Kanter, K.R, Gaynor, J.W, Spray, T.L, Sotiropoulos, F, Fogel, M.A, and Yoganathan, A.P, Individualized computer-based surgical planning to address pulmonary arteriovenous malformations in patients with a single ventricle with an interrupted inferior vena cava and azygous continuation. J Thorac Cardiovasc Surg, 2011. 141(5): 1170-77.
de Zélicourt, D, Marsden, A, Fogel, M, and Yoganathan, A.P, Imaging and patient-specific simulations for the Fontan surgery: current methodologies and clinical applications. Progress in Pediatric Cardiology, 2010. 30(1-2): 31-44.
de Zélicourt, D, Ge, L, Wang, C, Sotiropoulos, F, Gilmanov, A, and Yoganathan, A, Flow simulations in arbitrarily complex cardiovascular anatomies – An unstructured Cartesian grid approach. Computers & Fluids, 2009. 38(9): 1749-1762. Sundareswaran, K.S, de Zélicourt, D, Sharma, S, Kanter, K.R, Spray, T.L, Rossignac, J, Sotiropoulos, F, Fogel, M.A, and Yoganathan, A.P, Correction of pulmonary arteriovenous malformation using image-based surgical planning. J Am Coll Cardiol: Cardiovasc Imaging, 2009. 2(8): 1024-30. Dasi, L.P, Pekkan, K, de Zélicourt, D, Sundareswaran, K.S, Krishnankutty, R, Delnido, P.J, and Yoganathan, A.P, Hemodynamic energy dissipation in the cardiovascular system: generalized theoretical analysis on disease states. Ann Biomed Eng, 2009. 37(4): 661-73. Pekkan, K, Whited, B, Kanter, K, Sharma, S, de Zélicourt, D, Sundareswaran, K, Frakes, D, Rossignac, J, and Yoganathan, A.P, Patient-specific surgical planning and hemodynamic computational fluid dynamics optimization through free-form haptic anatomy editing tool (SURGEM). Med Biol Eng Comput, 2008. 46(11): 1139-52. Soerensen, D.D, Pekkan, K, de Zélicourt, D, Sharma, S, Kanter, K, Fogel, M, and Yoganathan, A.P, Introduction of a new optimized total cavopulmonary connection. Ann Thorac Surg, 2007. 83(6): 2182-90. Wang, C, Pekkan, K, de Zélicourt, D, Horner, M, Parihar, A, Kulkarni, A, and Yoganathan, A.P, Progress in the CFD modeling of flow instabilities in anatomical total cavopulmonary connections. Ann Biomed Eng, 2007. 35(11): 1840-56.
de Zélicourt, D, Pekkan, K, Kitajima, H, Frakes, D, and Yoganathan, A.P, Single-step stereolithography of complex anatomical models for optical flow measurements. J Biomech Eng, 2005. 127(1): 204-7.
de Zélicourt, D, Pekkan, K, Wills, L, Kanter, K, Forbess, J, Sharma, S, Fogel, M, and Yoganathan, A.P, In vitro flow analysis of a patient-specific intraatrial total cavopulmonary connection. Ann Thorac Surg, 2005. 79(6): 2094-102.